This story and its recipe are taken from my recipe book, Maw maws recollections, observations and recipes. The Chapter is called, “Migration to the North”. 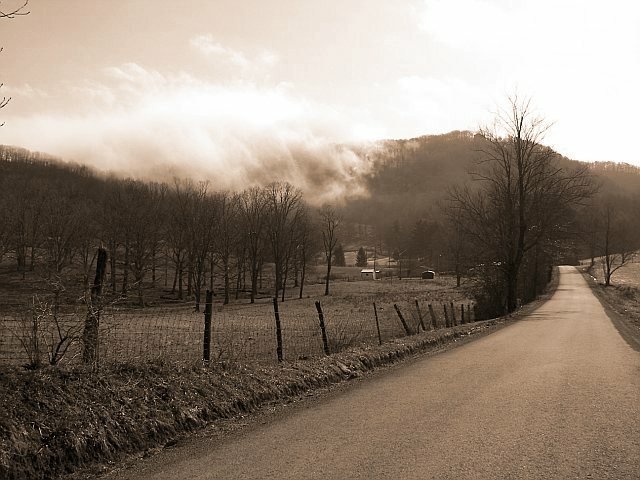 An inside look into a rural WV town and its people. Polio made it’s way through our small mountain community in the late 40’s. Seemed like many a child for years afterward was seen wearing leg braces or had what I call baby arms. My own got missed by that evil demon (thank the good Lord). To this day I always believed it came on over from Europe or somewhere’s else where our service men in WWII was stationed. It was too much a coincidence. Soon as they started coming back, the diseases started. The government said “No” but I don’t believe a Government man even knows what the truth is to be able to tell it. We all was scared to death. It was like playing that Russian Roulette game. One day all seemed calm then you’d hear Johnny Lawson’s new baby done got it. It was frightful, no one knew what to do. The Newspapers was reporting that in the major cities it was past epidemic proportions. Seemed like a runaway train with no stopping it. Every mother feared hers would be next. Many people cut back on socializing with each other during them years. Church attendance was low for fear it was there in the pews, even though more and more people was on their knees. I think it was in April of ’55 that the hero Mr. Salk was informed his vaccine was a success. I had read as others did, that a couple years previous Mr. Salk had invented a vaccine but it needed to be on trial to see if it actually worked or not. I will never forget the day they announced it. Every radio station blared the message into every home! People was out in the street cheering, honkin’ automobile car horns, lighten off fire crackers and crying in public. It was the first time I heard every church ring it’s bells at the same time. Unless you was living then, you just couldn’t begin to understand. We had us a future again! Farmers holding off buying new machinery went out and made the purchase. Schools that just a few months before had been talking of closing made announcements of adding playgrounds and gymnasiums. The future looked so bright to us. We vowed never to take life for granted again or forget the God who after all, had answered our prayers. 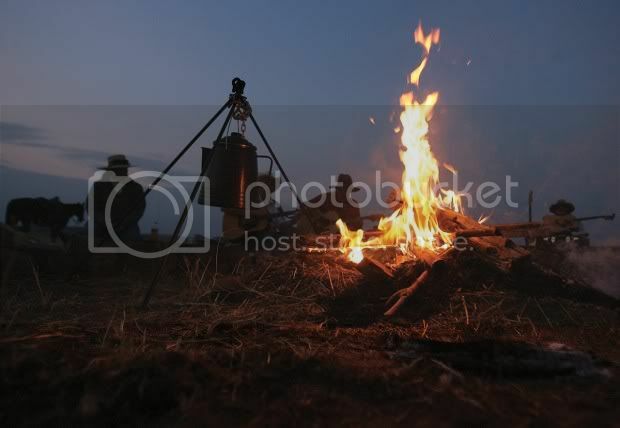 By July at best, most had returned to their unthankful ways and life went on as before. Those left crippled were given small monthly Government subsidy checks. Life was a fragile thing back then. Why, I remember my friend Louise’s husband left for Michigan to find work at the Ford plant there and was never heard from again! Two Years later she found out he had had a heart attack in a motel room. It appeared someone either before or afterward had lifted his wallet off him. Without no identification, he was buried anonymously in Dearborn. Not one of us thought he had run out on her but the Police up that way said his M O was a common one for disgruntled husbands . It was during an investigation of another crime that his old wallet had turned up. The man never admitted to stealing it but police was able to locate Louise by her picture in it and his Social Security card. It made one wonder what really happened to those who just vanished. There was a large amount of men who left the area for jobs up north in them days. Some never did come back for their wives and children. Most everyone thought they’d just run out on ’em. Henry never did have a hankerin’ to move away from here. Lived all his life within these hills. We did a vacation or two. We visited others who had moved to Michigan and Ohio for jobs but never was drawn to leave West Virginia. I’m aware it seems most the other States got a bad idea of what West Virginian’s are. Many of the men folk who left for other parts were those that we’d say to today,”Don’t let the door hit you in the … as you leave”. They was a lot of no goods in my book. Good riddance! An I do apologize for my English. I know it grates upon the ears of those living North an East of us but we really did attend school and even get degrees. It’s just that you’re taught one thing while living another. After a time of being away from school books one just reverts back to what language is spoken at the dinner table. I got a boy lives up in Cincinnati Ohio. Half his kids speak as I do, the other half don’t. I wonder if it’s in the genes. 6-8 ramp onions* – found growing wild in WV and sometimes called wild leeks. cook potatoes in pan of water until just tender. Steam ramps over potatoes using metal strainer 2 -3 minutes. Then chop ramps. Drain potatoes, and add chopped ramps. In skillet, fry sausage and drain. Combine with potatoes. Add eggs, diced cheese, salt and milk. Mix together in baking dish, bake uncovered for 30 minutes at 350 degrees. *Add 3 cloves of crushed garlic to the recipe if using an onion other than a Ramp. 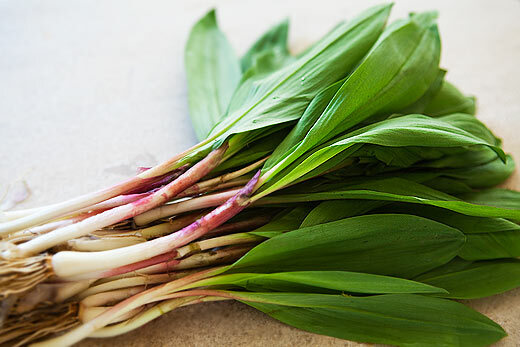 Ramps have a strong onion / garlic taste to them.